Blingables are items that you can embellish with rhinestones; t-shirts, ornaments, tote bags and more. Perfect for having available for a group or at your next Bling Party. Many of the items correspond to a matching Rhinestone Template. Information and links are provided on the product details page, just click on the "More Info" buton. 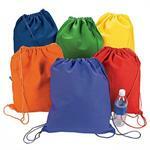 14" x 17" Canvas Drawstring Backpack. Ideal for a craft or sewing bag, kids love them for school, and they make a great reusable shopping bag. Perfect for rhinestone embellishment. 17" x 14" (10" handles). 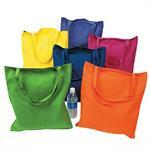 Large brightly colored tote bags made of durable canvas. Ideal for a craft or sewing bag, kids love them for school, and they make a great reusable shopping bag. Perfect for rhinestone embellishment. 8" x 8" (5" handles). 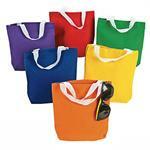 Brightly colored tote bags made of durable canvas. Ideal for a craft or sewing bag, kids love them for school, and they make a great reusable shopping bag. Perfect for rhinestone embellishment. 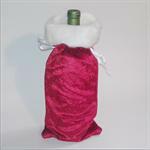 Heavy shiny velvet capped with a white fur trim. Size = 6" x 13".